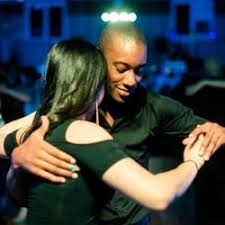 Six-week beginner and intermediate tango class series are offered by TangoHelena on Monday nights, April 15 – May 20. Tango Basics is 6:30 – 7:30 pm: no experience or partner required (we change partners throughout class). There's a free practice time from 7:30 – 8:00 pm, followed by Continuing Tango, 8:00 – 9:00 pm (for experienced tango dancers). The cost for either series is $50 per person, $25 for students. We have an open practice time every Thursday, 6:30 – 8:30 pm: suggested donation $5. It's a friendly, welcoming dance community and we hope you'll join us! Register online at www.tangohelena.com or in person at the opening class on April 15; in either case, please get there by 6:15 pm that first day.